Wow. 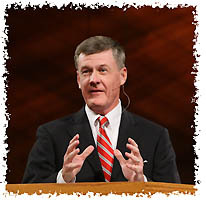 Your sermon of the week, The Great White Throne Judgment by Steve Lawson, is a riveting reminder of what’s to come for the unrepentant, and why it’s so imperative that we never tire of sharing the gospel with the unsaved, because it will be an incredibly terrifying thing to fall into the hands of the living God (Hebrews 10:31). This entry was posted in Sermons and tagged Apologetics, Bible, christian, Christianity, Christmas, church, God, Holy Spirit, Jesus, Jesus Christ, Luke, Sermon, Sermons, Steve Lawson, Theology. Bookmark the permalink. I did not realize that Lawson is a Calvinistic Dispensationalist. I will have to take care with his messages.